Sosa gelcrem cold derives from potato starch, which allows you to do 100% vegan elaborations.It is a fast thickening agent with a neutral colour and can be mixed with cold or hot liquids. 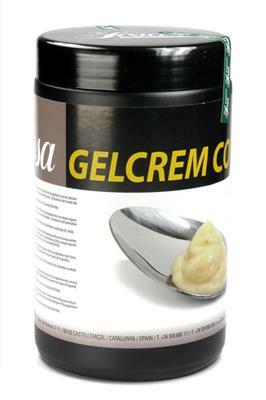 Sosa gelcrem cold allows you to thicken a cold recipe, without adding egg, cornstarch or without the need to introduce heat. It adds texture to a runny sauce or thickens the texture of pastry cream. It is stable in acidic mixtures, can be used in sweet or savoury recipes and can be heated up to 50ºC.